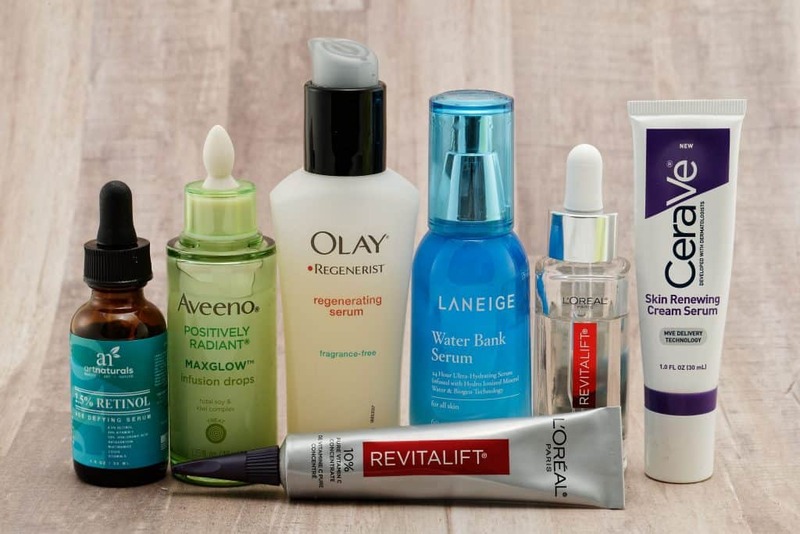 Instead of haphazardly applying your nighttime skincare regimen (I’ve done that), I’ve came upon a process that provides maximum benefits for each class of products. Check out the list below and try applying your products in the order that is listed. It will make a huge difference! Serums are the lightest products, therefore, it makes sense that they go on first. Remember, lightest to heaviest, as you apply your products. Also, they deliver active ingredients more efficiently when applied directly to the skin. You’ll see an assortment of my serums in the photo above. Now is also a great time to apply Vitamin C because it is one ingredient that every skin type needs. It brightens, protects against sun damage, and promotes collagen production, The L’Oreal Revitalift in the tube on its side contains plenty of Vitamin C and it great to apply after the L’Oreal Revitalift Hyaluronic Acid serum which can help increase skin moisture and reduce the appearance of fine lines and wrinkles. As you can see from the photo, I have an assortment of serums. 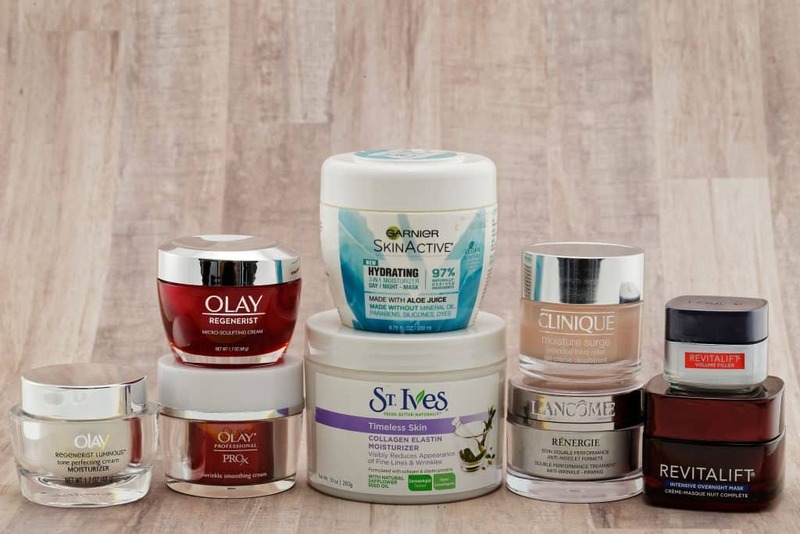 Try a few to see which ones that you want to make a part of your nightly skincare routine. I own several so that I can apply the one that my skin needs most that night. If you give each product a minute to dry, it won’t pill according to Allure Magazine. Put on a product and then do a separate task like brushing your teeth or choosing the next day’s outfit. Then apply the second product and so on. 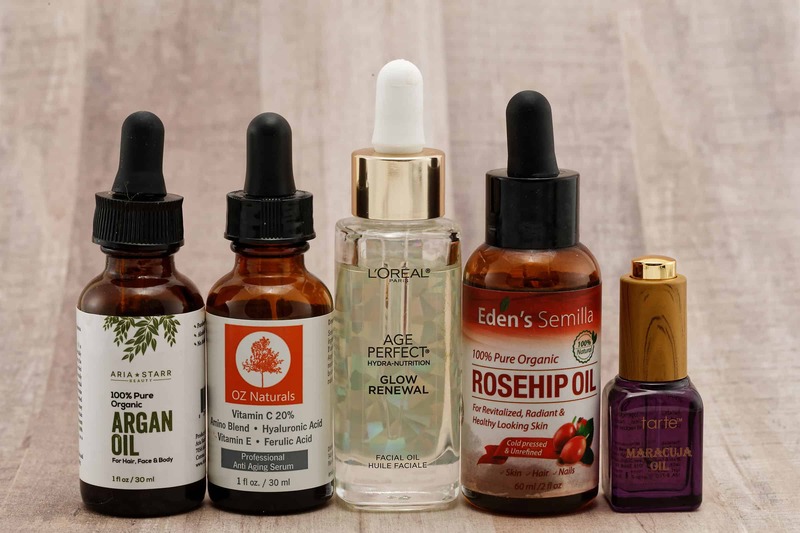 Moisturizer is key to any layering routine because it seals serums on your skin, which can make them more effective, As you can see, I have a variety of moisturizers that I use depending on my skin’s condition that day as well as the weather outside. I have products from Lancome, Clinique, L’Oreal, Olay, Garnier, and St. Ives. They are all wonderful to use! 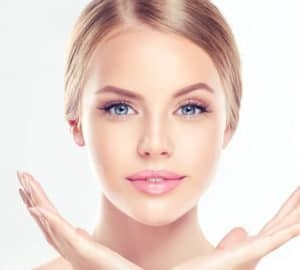 In small doses, oils make skin radiant. Put them on dry areas after creams because, as a rule, oils can penetrate moisturizers, but not vice versa. 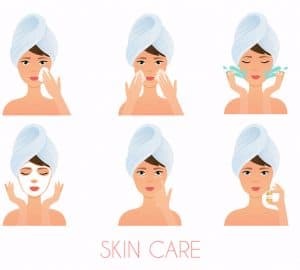 Skip the oil if you’re wearing more than two serums under your moisturizer, because, at some point, it’s just too much product. I hope that this tutorial about the order of application of nighttime skincare products was helpful. I also hope the extra information about some of the products, particularly the serums, was also useful. I wish you the best in your skincare journey!